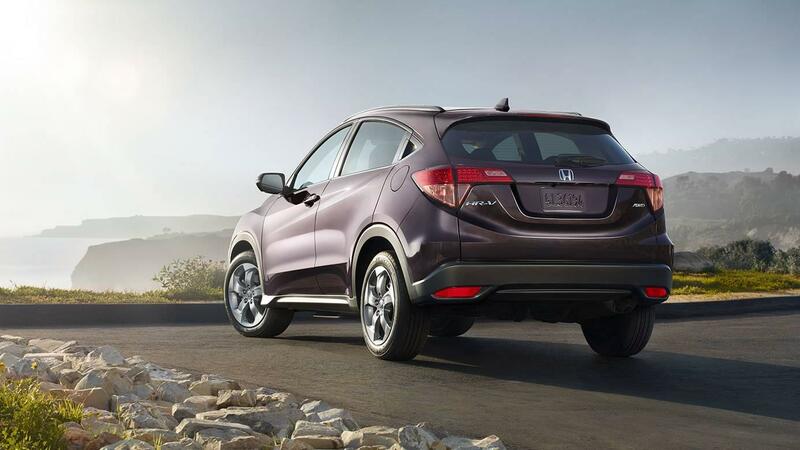 The 2017 Honda HR-V is the cool crossover for today’s busy families. The innovative interior design allows for flexibility in cargo and passenger configurations. The convenient hatchback is perfect for loading and unloading cargo with ease. 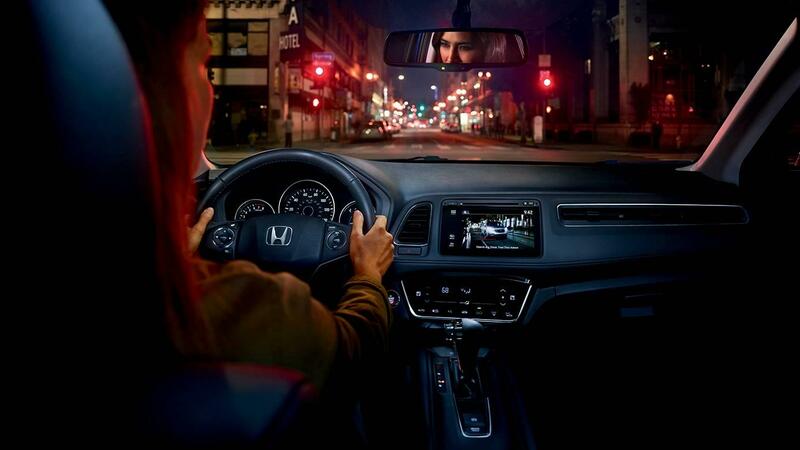 This Honda is well-equipped with user friendly technology, creature comforts, and safety features. 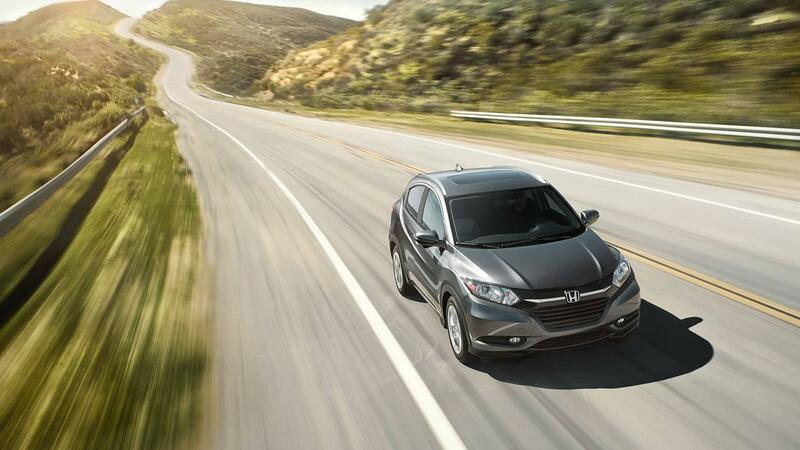 The HR-V handles well and has agile maneuverability through the city streets. There is plenty of space and leg room for all passengers and their belongings. The 2017 Honda HR-V offers all of this at a budget friendly price. Rock Honda invites you to come and test drive a 2017 Honda HR-V near San Bernardino, CA and near Rancho Cucamonga, CA today. When searching for a new or used vehicle in the Inland Empire, we should be your first stop. We boast a great 2017 Honda HR-V inventory near San Bernardino, CA. Our experienced staff is on hand to make your car buying experience pleasurable and easy. We offer in-house financing and on-site repair and service to keep your investment going strong. Please ask about our current special offers when you come here in search of a 2017 Honda HR-V for sale in Fontana, CA. When it comes to standard features on the 2017 Honda HR-V in Fontana, CA, there are plenty. The 60/40 Split 2nd-Row Magic Seats® fold almost completely flat, which allows you to transport tall items, such as a big screen television. A large 5-inch LCD screen is standard equipment, making all important information clearly visible. Cargo area tie down anchors keep your items safe and secure during transport. A multi-view rearview camera is also included, giving you virtual eyes in the back of your head. Roof rails are optional and can be installed to add increased cargo area for larger items, such as skis or camping equipment. Honda LaneWatch™ is an advanced safety feature that is available on some models (dependent on trim level). The 2017 Honda HR-V is the reliable crossover with added flair that your family can depend on! All models of the 2017 Honda HR-V are equipped with a fuel efficient, inline 4-cylinder engine with an aluminum alloy engine block and cylinder head. This provides a peppy 141 horsepower and 127 lb.-ft. of torque. You will find this stylish crossover has plenty of get up and go. Real Time AWD with Intelligent Control System™ is an available option. This system senses loss of traction and automatically transfers power to the rear wheels, allowing you to stay on course. Also standard is a 6-speed automatic transmission. You may elect to upgrade to the Continuously Variable Transmission with Sport Mode for an even smoother ride. We here at Rock Honda in Fontana, CA look forward to putting you behind the wheel of a new 2017 Honda HR-V, so stop in and test drive today.